Texas Senator, Israeli Dep. Foreign Minister look to end perpetual refugee status of Palestinian Arabs. Deputy Foreign Minister Tzipi Hotovely (Likud) headed to Washington DC Monday morning for meetings with Trump administration officials and members of Congress, in part to promote the Foreign Ministry’s efforts to end the United Nations Relief and Works Agency for Palestine Refugees in the Near East (UNRWA) and the special status it has extended to generations of Arabs living across the Middle East. Unlike UNHCR, UNRWA has permitted Arab refugees to transmit their status to their descendants, creating second, third, fourth, and even fifth-generation “refugees” who born and raised in Arab states including Jordan, Lebanon, and Syria, yet categorized by the UN as “Palestinian refugees”. While the UNRWA counted some 750,000 Palestinian Arabs as refugees in 1949, the number has risen nearly sevenfold since, with over 5 million now claiming refugee status through UNRWA. The Israeli Foreign Ministry and some members of Congress have called for an end to the perpetual refugee status accorded to Palestinian Arabs, pushing for UNRWA to be dissolved as an independent agency and incorporated into the larger UNHCR. In June, Prime Minister Binyamin Netanyahu accused UNRWA of complicity with the Hamas terror organization and called for the agency to be terminated. 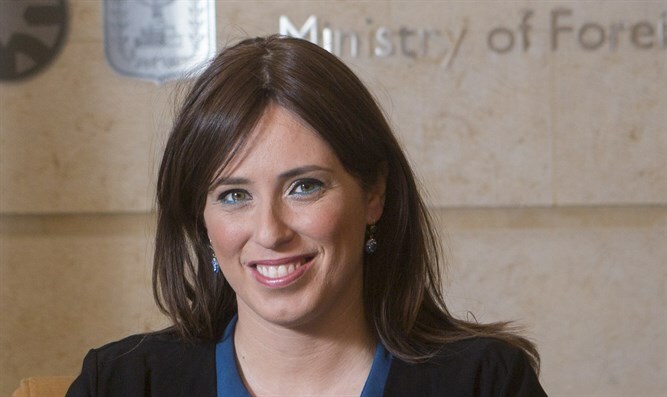 Hotovely is slated to meet with Deputy Secretary of State John Sullivan to discuss American funding for UNRWA, which is projected at $300 million for the 2017-2018 fiscal year. Some in Congress have expressed support for the move to defund UNRWA. Senator Ted Cruz (Texas-R), who earlier this year proposed the US nix funding for the UN over its anti-Israel bias, is scheduled to meet with Hotovely during her Washington trip to coordinate their efforts against the UN agency. “Countries that fund UNRWA have a big role in shaping the character of the organization, and as the primary donor [to UNRWA], the US can take the lead in the important effort to change the reality on the ground, where UN agencies work to perpetuate the refugee problem rather than solve it,” Hotovely said on the eve of her trip.